A website is YOUR front door on the internet and a gateway to success and abundance when artfully designed. It provides the platform to reach the audience you desire and share the gifts that only YOU have! Whether you wish to sell your artwork, teach online or simply share your passions we've got you covered with this class! Relying on someone to design, develop and manage a website can be costly and a huge undertaking for a new business BUT we are going to show you how you can plan, design and create a gorgeous, professional website all on your OWN! Plus, you will be learning from my in-house designer extraordinaire - my husband, Chris! Chris is not just a run of the mill designer - he is a talented interface designer (with over 20 yrs experience) who has a deep understanding of everything from branding and marketing, to user experience. He will be your guide as he shows you not only HOW to design your website but WHY we do the things we do! Anyone can make a website BUT creating one that drives profit and engages your audience takes intention and planning. I hope you will join us as we share our insights, expertise and training on creating your own website! Your own, beautiful, creative website. The website tools needed to be easy to navigate, simple to manage and still look like we hired a top development team. We wanted it to be flexible so anyone could add blogs, product pages and other features down the road if they wished. We didn’t want anyone to have to continually come back and spend further money to fix/update their site. We wanted to make sure it was easy to integrate with other services like email management and ecommerce. That’s it. Nothing complicated or difficult. Just straightforward and simple. We will guide you through creating a "storyboard" of exactly what and how your users will navigate through your website. Branding, color decisions, font choices and more will be selected in this part of the class. We want to ensure your website reflects you and your art! It needs to be personal and unique. With today’s tools, it’s never been easier to build your own site. Simple drag and drop tools make it easy to design and update your site anytime you wish. No more relying on someone else! Plus, we will be showing you how to create your own online classrooms so you can showcase and SELL online art workshops. There are hundreds of website builders out there (I know, we've worked with just about every one of them). Squarespace is by far the easiest site builder on the market. It’s a great way to begin your path to building your own site. There are no installations needed (just your browser and your creativity). All you need is a FREE account to get started. We’ll walk you through the rest with a complete setup guide video and ensure you’re up and ready to begin building your first site. If you already have a website domain name, that’s great! It’s easy to move your new site over. If you’re just starting out, we’ll walk you through the process of purchasing your very own website name. Having strong imagery on your site is key creating a beautiful site and engaging your audience. We'll give you tips on sourcing gorgeous images and how to edit them with easy-to-learn programs. Want to sell something on your website? No problem! We’ll walk you through how to add products to your shop and how to accept credit cards. We’ll also provide tips on building the best-in-class store for your visitors. Content creation and sharing on social networks is key to any site’s success. We'll show you how to establish your blog, connect your social accounts and distribute your content. It’s your class and you keep it forever. Whenever you have a question or need to brush up on your skills, myself, Chris and the class will be here when you need us. Here's what you'll achieve with your site. Provide a creative online space for you and your visitors. We have a few tricks and valuable design tips to guide you through the basics of creating a great site. Your website will look amazing, no matter if your visitor is viewing your site on their desktop, laptop, tablet or phone. Create a beautiful blog and share through your social channels. Content creation and sharing on social networks is key to any site’s success. We’ll show you how to set your blog up and how to tag/optimize your posts for optimal search results. Build pages to share your art and sell online. If you have an Etsy shop but always wanted to know how to sell on your own site OR you want to teach online and sell your classes this is for you. Building your very own ecommerce site and accepting credit cards is easier than ever. We’ll also show you how to create discount coupons. Capture new followers and share with them your latest thoughts and creative work. Want to keep your followers up to date with your latest blog posts or new products? We’ll show you how to capture and build your email list. How to build a beautiful new website. You’ll be amazed at your new website when you’re finished. Everyone will think you hired an amazing agency or a world class designer. Defining your brand and identity online. We will help you gather your ideas and further your concepts to ultimately define your brand and make you stand out from the rest. Setting up an email subscription system. Gathering your followers is essential to email marketing and we will show you how to connect your site to this service so you can begin reaching out to your audience. Utilizing your own blog and sharing on social platforms. Creating great content and sharing with others is essential to driving people to your website. We’ll get you set up with your own blog to begin sharing your story. Build your own gallery to showcase your work. Have you always wanted to showcase your work and products but weren’t sure where to begin? We’ll guide you through building your own gallery with multiple options on how to present your work at its best. Setup to sell your own products and online classes. We’ll show you all the features you need to set up beautiful product pages and accept secure online payments. You’ll be able to embed images, video, audio and learn how to manage everything in one place. Understanding your website’s performance. Understanding how your website is performing and where people are visiting is essential. There are no additional plugins or complicated setups. Everything you need to know is built right into your site. We’ll guide you through what to look for and how to follow the metrics that matter to you most. We want you to be able to dive right into this class and create your first website. Our goal is to have you follow along and understand the essentials to building your own website. We’ll also show you how to source amazing royalty free images. Even though there are some amazing templates to begin with when creating your website, there are still important design and typography tips to follow. We’ll walk you through website hierarchy, how to organize your pages and understand how people view your site. We’ll also share some important typography tips and how to use the right fonts for your website. We’ll share with you some of the tools we use that will help you put together your very own color palette and further understand color psychology. Have you always wanted to have a professional email address and ditch Gmail or Hotmail? We’ll share with you the simple setup and how to add it to your desktop and phone. Don’t know where to begin - If you’ve always thought, “I have NO idea where to start! ", this is the class for you. We’ve been there and have dedicated the last half decade to figuring it out (and failing along the way) so you don’t have to. Want to create an online following - It all begins with your website. We’ll show you how to create your very own platform so you can begin creating amazing content and products to share. We’ll also show you tricks to sharing on social media. Already created their own website but are still not happy - This is a common problem but completely fixable. In two short weeks, you’ll have a site you can be proud of. We’ll also show you how to convert your new site to replace your old one. Have always dreamed of selling online - Your dreams can finally come true! We’ll walk you through the process of building your own ecommerce shop so YOU can begin selling your products and online classes. Accepting credit cards couldn’t be easier and we’ll even show you how to add PayPal as an option too! Sell to people all over the world! Which plan should I choose with Squarespace? 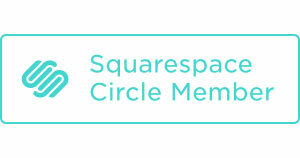 - Squarespace offers a free 2 week trial but you can typically extend it another week if needed. The costs vary depending on your needs but you can start out with their $12/month plan and grow as needed. We'll cover all the plans and the benefits in the class. I currently have another website on Wordpress. Can I keep this up and running while I build my new Squarespace site?You can definitely keep your website up and running while you’re setting up your new Squarespace site. When you’re ready, Squarespace makes it easy to point your domain from your existing site to your new one. Since we know there are a lot of people with existing websites, Chris will be showing you how to do it. How much are the other tools you're teaching for ecommerce and email marketing? The great thing about accepting payments is that both Stripe and PayPal are free to use. They only charge you when you have a transaction. If you wish to use MailChimp for email marketing, it's free for your first 2000 subscribers. As you add more, the price goes up (typical for all email marketing tools). Email management can also be free if you're just capturing them inside a Google Spreadsheet (we'll show you how in our class). We'll definitely be covering all options and best practices for starting out. We love that there are so many affordable options such as Squarespace and the other tools available. COMPLETE YOUR TRAINING WITH MODULES TWO AND THREE.